Bloodborne Pathogens Training is an OSHA mandated training program for any person who may be reasonably anticipated to face contact with blood and other potentially infectious materials as the result of performing their job duties. 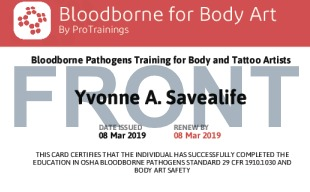 ProBloodborne for Body Art Professionals contains bloodborne pathogens training that is specific to the body art professional. 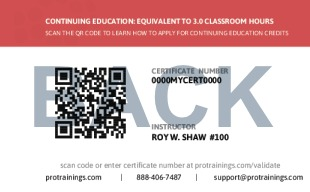 Total course time includes 3 hours and 18 minutes of video training as well as knowledge reviews, final test, remedial help and reviewing downloaded material.